Gibney’s piece was pure propaganda levied against a modern religion that has withstood all of the blasphemy thrown at it in its 64 years of existence. 2. Never once spoke to a Scientologist. And this despite over a dozen Scientologists coming to see him at his office. He refused to step out and have an interaction with them. So, with that information does it surprise you that we consider Alex Gibney a fraud and a propagandist? Well, it shouldn’t. Gibney’s piece was pure propaganda levelled against a modern religion that has withstood all of the blasphemy thrown at it in its 64 years of existence. No small feat. You falsely infer that Scientology is a “cult,” meaning a “closed group.” If you were interested, you would know that last month we launched our own television channel—Direct TV channel 320. Through this medium we deliver in great detail the actual inner workings of the Church and MUCH, MUCH more. 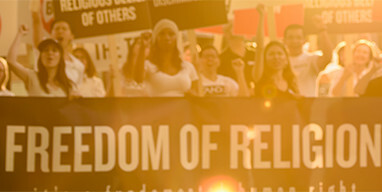 You should check it out: Scientology.tv. The fact is that we opened our own channel because media outlets, such as yours, rarely bother to publish a scintilla of truth about the growing religion of Scientology. Therefore we do.